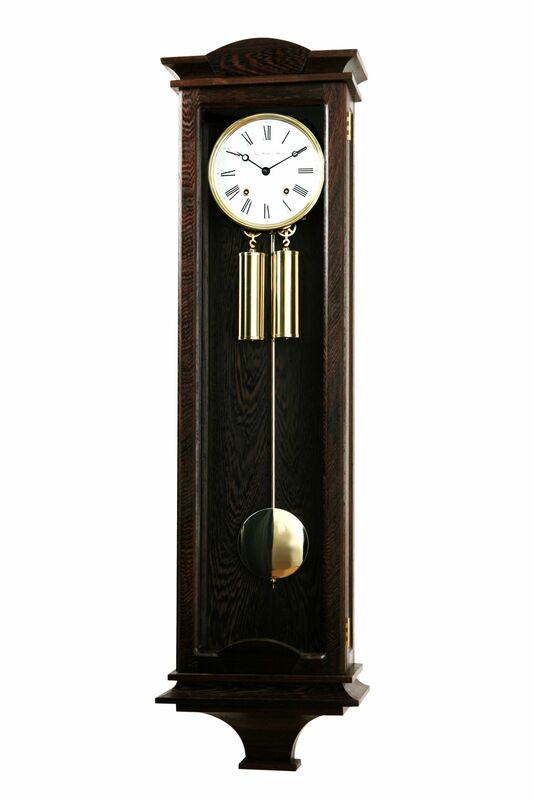 This avant-garde wall clock is pictured in solid Wenge. The 8-day Viennese Regulator cable-driven Hermle movement strikes the half hour and the number of hours. The movement is characterized by the details of its rounded pendulum stem, its low pitch strike action and its delicate cables and winder. The multi-angled base and crown frame the simple white dial and pendulum in an angular yet well rounded design. Price: ZAR 38 000.00 Incl. VAT, Excl. Delivery.